No waiting by the fax machine to get your quote. You will get a quote the same day. Evaluating products at a higher value, paying you the most money for your genuine OEM brand name ink and toner. Recycle your surplus inventory of OEM ink, toner cartridges, and printer parts instead of throwing them away. Go green and get some green. We pay for the shipping to us and handle all of the arrangements. No hassle. We’ll take care of you and your customer’s needs. 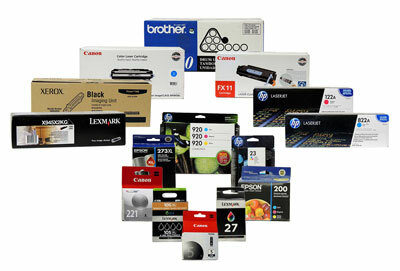 We carry over 5000 genuine OEM brand name printer supplies. Same day shipment for orders received by 4PM EST. Email Dropship@oemconnect.com or call 978-207-1055, ask for Drop Ship Department. OEM Connect has become one of the leading wholesalers and distributors to resellers of original equipment manufactured ink, toner and printer supplies with the lowest prices in the industry. We specialize in buying surplus, excess, overstock, closeout and liquidation of genuine brand name inventory. Copyright © 2015 OEM Connect. All Rights Reserved.